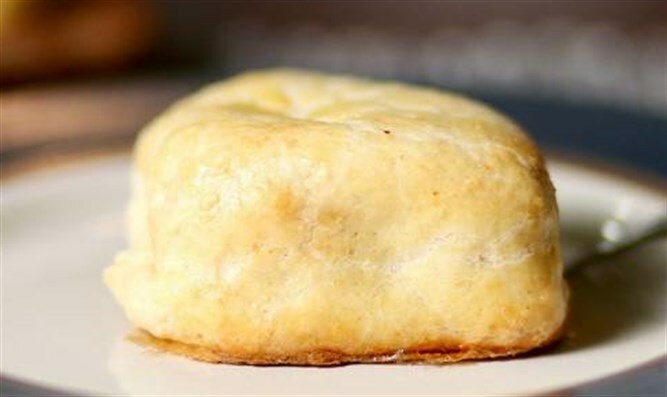 Learn how to prepare knishes, a classic Jewish New York dish – a creamy potato filling covered with soft and flaky homemade pastry dough. Combine ingredients for desired dough and knead until smooth. Using well floured surface, roll out each part. For Dough I, sprinkle lightly with matzo meal. Cut each part into two- by three-inch rectangles. To prepare potato filling, combine all ingredients, mixing well. Place one tablespoon of the filling onto each piece of dough. Roll up. Brush with beaten egg. Bake at 375 degrees Fahrenheit for 45 minutes or until golden brown.